Originally, websites were purely informational. Before the web was opened to the public, educational and research institutions and goverment agencies were able to make information available to each other via text-only websites. Now that we have the World Wide Web, there are more types of websites than you can shake a stick at. One way to classify websites is according to the building method used to create that site. There are essentially three types of building methods for websites: static, dynamic built from scratch, and dynamic built on a framework. There are essentially three types of building methods for websites: static, dynamic built from scratch, and dynamic built on a framework. I-MAKE IT Solutions are is more influential than ever in the field of technology and which has now become the pier of every companys scalable measure for business growth.We expertise in creating and developing web applications. We build applications exactly the way your business works. A static website keeps the same content and layout from web server request to web server request. The only way to change the content is if the sites webmaster changes the content on the page and re-uploads it to the server. 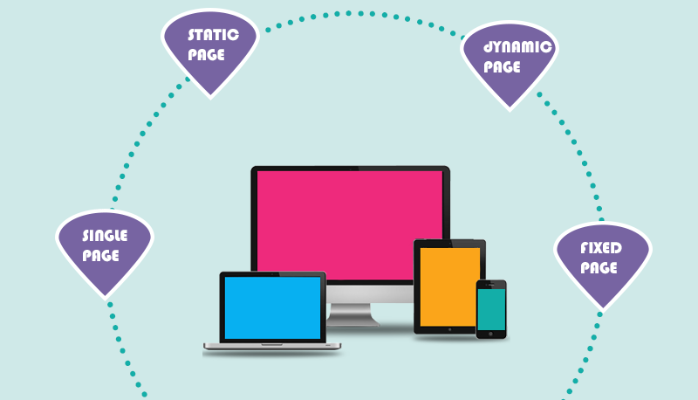 A dynamic website is user-friendly because it can adapt to each users preferences. The framework model still offers a site that changes dynamically based on the users actions.